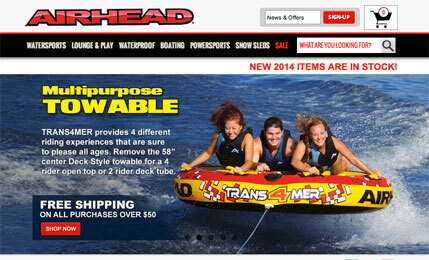 AIRHEAD and SPORTSSTUFF sell great watersports products such as wakeboards, kneeboards, and inflatable towable tubes. With a little creative CSS we helped these guys setup custom icons for their store location product filters and made the store locator responsive to match their site. 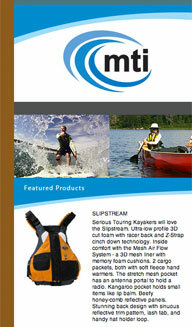 Easy Locator unofficially supports big air, and especially when being towed behind a boat. Justin's Nut Butter has swept the nation and is now widely available in grocery stores and whole food markets. The company vows to only use the highest quality natural and organic ingredients that are sustainably harvested and found as locally as possible. They don't stop there though—Justin's also gives back to the community in the form of cash, nut butter donations, and donated employee time. 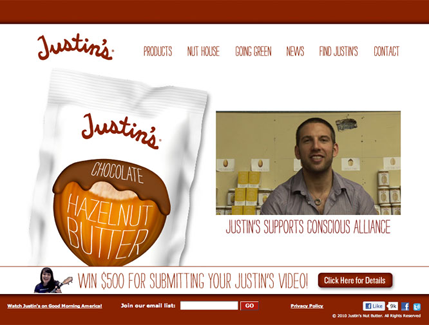 We were collectively big fans of Justin's Nut Butter months before they signed-on to use Easy Locator to manage their retail store locations. We are happy to support such a great company and foresee great success in their future. Body Wrappers is an award winning, "Made in America," dance apparel manufacturer. Their customers find products quicker with a customized retail store locator with icons that represent which product lines each location carries and a filter for only Angelo Luzio dance shoes. Body Wrappers was one of the first clients to take advantage of Easy Locator's flexible platform for account-specific customizations. 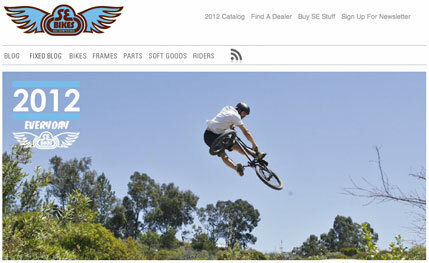 The result is a masterfully seamless integration and very nice user experience. Window World is the largest window replacement company in America, and is one of the largest home improvement companies as well. I can't get the radio ad jingle out of my head now: "Window World, simply the best for less." David Rio is an award-winning, premium chai and tea company based in San Francisco, California offering customers only the finest products domestically and around the world. Through the sale of premium bottled water, NIKA hopes to bring a voice to the world's poor who suffer without the basic right to clean water and simple sanitation. And by donating 100% of their profits to support clean water projects in impoverished countries, NIKA will provide the basic tools and critical assistance to help thousands of families improve their lives in a meaningful way and end the cycle of poverty. Great company with a noble mission. Easy Locator always provides our service at no charge to 501(c)(3) non-profit organizations. A focus on the OEM market allows Praxis to create high level components from start to finish for their customers, all while providing top notch service at a great value. 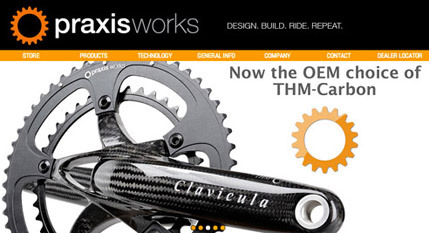 Love the 30 Day Chainring Challenge. Solid. 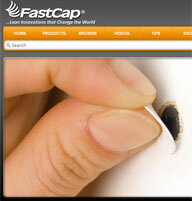 FastCap was founded in 1997 by Paul Akers, 20-year veteran in cabinet-making/ woodworking industry. One day, while Paul was building some cabinets, he got an idea for a self-adhesive screw cap cover and the Fastcap was born. The American Taekwondo Association (ATA) is the premier North American organization dedicated to the martial arts discipline of taekwondo, and is the founding organization of other international affiliates that include the World Traditional Taekwondo Union (WTTU) and the Songahm Taekwondo Federation (STF). Counting both the U.S. and worldwide, their organizations have over 1,500 independently owned and operated licensed schools and clubs, and have registered over one million students since the ATA's inception in 1969. 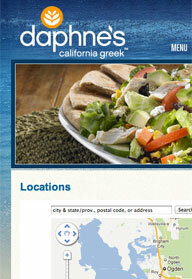 California Greek™, a term coined by Daphne's, represents a new genre of food: Fresh California cuisine influenced by Greek and Mediterranean flavors and dishes. Easy Locator is considering relocating to California to satisfy a craving for Daphne's. 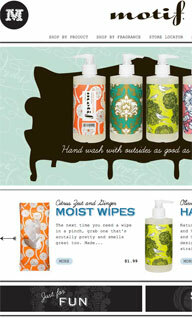 Motif is dedicated to making the small, unexpected things in your daily life just as precious as the big ones. CEP Compression sportswear contains a one-of-a-kind level of compression expertise: six decades of research and development on the effects of compression are integrated into every CEP product.